There hasn’t been any updates from Bret Michael’s Facebook Fan Page or his Twitter profile since yesterday’s Bret Michael’s Update. Clearly, Bret Michaels is fighting for his life at the moment. If someone has to be under 24 hour supervision in the Intensive Care Unit then we know that Bret that there is a fight for life taking place. Joann Mignano, Michaels’ New York-based publicist, in an interview to People.com has confirmed that Bret Michaels was rushed to the hospital on last Thursday after he complained about severe headache. 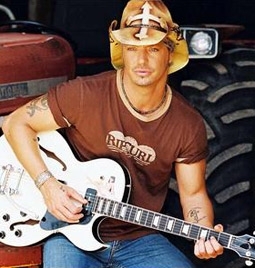 Right now, the only information that is streaming onto the web about Bret Michael’s condition is just rehashing the same old information about what happened on Thursday and early Friday morning. I will keep you posted on any updates that come from Bret Michael’s Facebook Fan Page and / or his Twitter profile. I am soo sorry for what has happened to Bret. I am such a fan, and this has devistated me. I am not a fan of his music, not a fan of his reality show or of his recent celebirty apprentice. I am a fan of the kind and gentle man he is. When I saw him break down about his daughter, it hurt me. When I saw the way he reacted on the celebrity apprentice, not as a show person, but as a kind and gentle man. Now to hear this. My Step father had this same stroke two years ago and now is completely recovered. So I have faith. I just hope this will all come out ok. I'm just tome woman in Florida who cares enough to try and write and pray he gets well. Thank you.